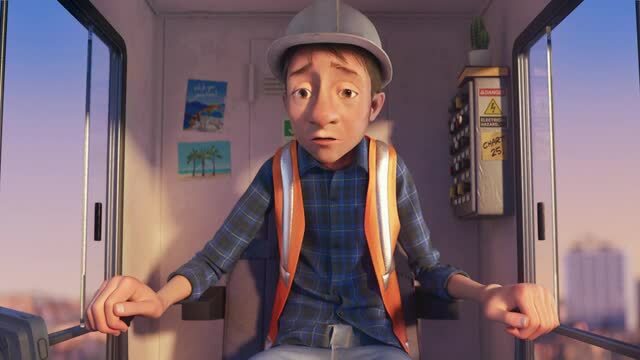 Smith & Foulkes of Nexus Studios, London, directed this McVitie’s :60 titled “Crane” for Grey London. The spot shows the operator of a tower crane diligently going about his work, isolated way above ground. Below him, he can see his colleagues enjoying the camaraderie of a tea break, complete with McVitie’s biscuits. He waves, but is not seen. As the day wears on, the operator becomes gloomier, craving some company – even if it’s only from passing birds. When he is convinced that everyone’s forgotten about him he gets a surprise – the steel beam he has lifted has been loaded with a cup of tea and some McVitie’s biscuits. He looks down and sees his colleagues waving and smiling at him and his mood instantly lifts. “Crane” is running on national TV in the U.K. and Ireland.